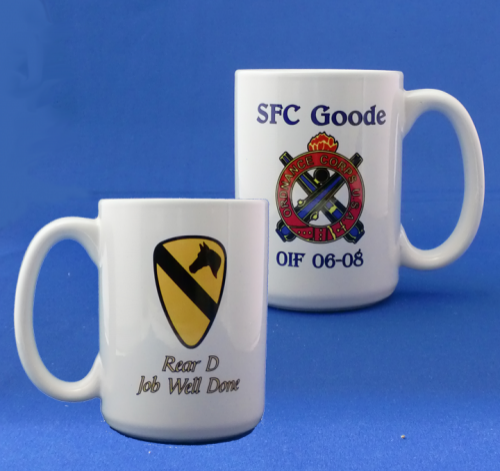 Our Military Insignia Ceramic Mugs offer a choice of several colors. We will laser etch each mug with your choice of insignia and personalization. Great for personal recognition awards.